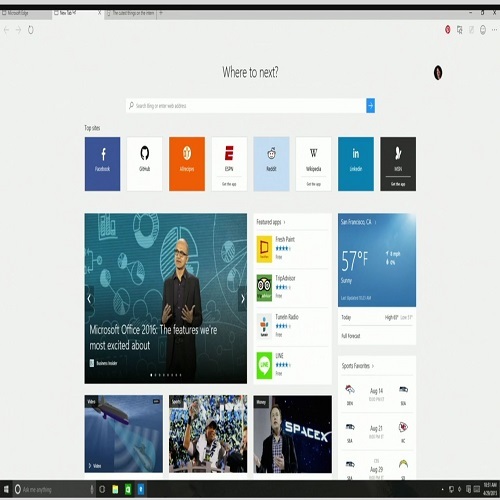 Microsoft Edge is a browser built for Windows 10, Windows Mobile and Xbox One. Edge is faster, safer & gives you longer battery life. Stream 4K & take notes on web pages. "If you are like me who wants to stream every video on a browser in a 1080p video quality then the answer would be the Microsoft Edge for you. " "I really like Microsoft Edge, not only because it improves my battery life from 1 hour to 3 hours it is also fast and has a simple interface. And since I like bringing my work outside, this is the best choice for me. " "Been watching Netflix on my laptop which has Windows 10 that has its default browser which is Microsoft Edge. So yeah i stream Netflix through Edge at1080p resolution. If i am not mistaken only three web browsers support HD or 1080p resolution when streaming Netflix. Good thing i have the Edge browser. YAY ME!!" "I have been really good on this browser. So fast for whatever website I use to stream sports. I have no issues with it on Windows"
"IMO Microsoft Edge is the best browser for Windows 10 so far after i tried other browsers such as IE which isn't really good rn... i also would like to point out that Edge is also a great browser for Android and IOS. But let's admit people might not want to use this because they are used to Chrome and I was like that too before. But i tried Edge and found that many of its features are useful eh"
"It would be good if Microsoft has its own default and high-performing browsers for Windows that could replace its Internet Explorer altogether. Other browsers are ahead of MS Edge. IMO Edge's interface doesn't appeal much too me. It looks cluttered." "Edge is ok, but I still prefer Chrome. The layout just seems clunky and a lot of space is taken up by unneeded things. " "Not my browser of choice but it does it's job. I like Chrome but I would use Edge as a backup. At least it's better than Internet Explorer." "Edge is acceptable, but I prefer Internet Explorer or Firefox." "this browser has excellent features, one of the most memorable is being able to write on the page and highlight something and then share it, it's very good, the other function of being able to clean what you want to read is very good too, I worry a little about what of the duration of the battery, this can greatly affect the use, otherwise it can be inferred that the browser is excellent, the only thing that is not very clear is the operating system that requires if it is W10 or higher, many people do not has problems with it, but I imagine that they will solve it in the future, Microsoft Edge looks very good. I like it." "Microsoft Edge is mediocre at best -- nothing to me say "best app for web designers". I think PhotoShop or Google Chrome would be better choices." "It's okay. Fast, if it works. But as a webdeisgner it still drives me crazy. A lot of features and effects are missing or are really slow (just try 3d transitions or clipping a path). From a designers view, it is still far behind. But hey, it's not IE. ;)"
"Just so you know Microsoft Edge is the default browser for Windows 10 but then people use other browser than this. I dont even know why. Come on if this is the default browser that means it works the best for Windows 10. 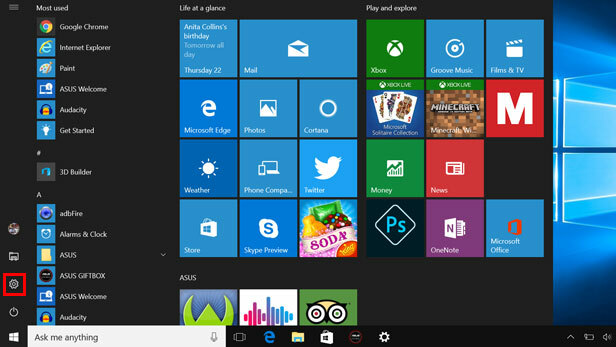 So what i like about this is that it is integrated with services from OneDrive and Cortana eh. " "It's been 2 weeks since I first started streaming on Edge and so far, I'm liking it. There are times when it freezes but just on very rare occasions "
"The battle of the browsers has a surprisingly new winner and it is Microsofts Edge. While Chrome and Firefox battle it out for 2nd place, Microsoft Edge has zoomed past them in terms of speed and usability." 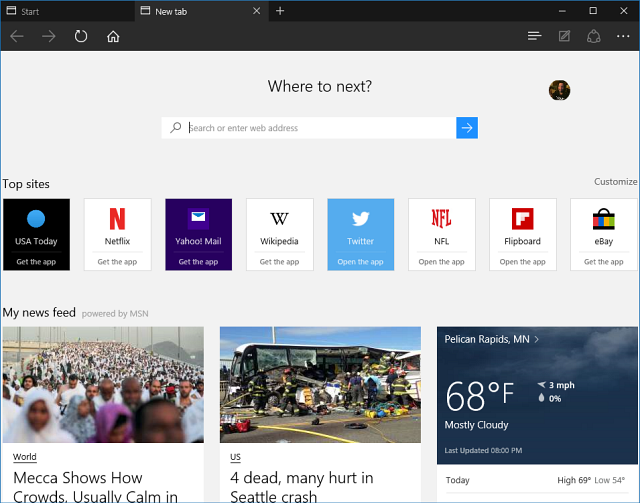 "Microsoft Edge as a browser is my favorite of all the browser options available today. Edge makes my browsing experience faster and more secure. Dare I say Microsoft Edge gives me the "edge" I need online." "I used to ignore this pre-installed browser on my laptop and just tried it after seeing it here, it's surprisingly nice and fast given that we have slow internet at the moment. Thanks Softonic!" "Although Microsoft Edge's performance is good. The extensions library is pretty small compared to google chrome and firefox. BUT this browser is deeply integrated with Windows 10. I have not seen any browser that could match the integration." "Finally Microsoft got it right. It's not as fast and as entertaining as Yandex or Firefox, and not as feature-heavy as Chrome but this is a great safe and reliable browser, unlike Internet Explorer." "Extremely better and faster than other browsers. Good for streaming and other stuff. Highly recommended!" "Didn't know that Microsoft Edge is also available as an iPhone web browser. Might as well try it. 😉"
"Edge is a descent browser and fairly fast. They've made lots of improvements and added a lot of features that I like, but it's not my primary browser. If it did a better job of working well with scripts, I would use it more often. For now, it's going to have to remain in the background of my other browser. " "Microsoft edge is internet explorer. The worst browser around, definitely doesn't belong on a list of any bests." "Edge is an improvement to Microsoft's previous browsers. It's a matter of personal preference and suitability to each person's needs."